Sarah Jessica Parker Lovely is a very light, feminine, fresh, floral fragrance without any sharpness but with a hint of muskiness. The top notes include bergamot and lavender, patchouli and orchid are some of the middle notes and the base notes include cedarwood, white amber and musk. All of these combine to give a a subtle, rather than overpowering, fragrance. Although this is an Eau De Parfum, I find that it only lasts around 3/4 hours on me before I need to re-apply. I love the simple pale pink bottle and art deco lid - very simple, but stylish. Chloé is another fresh, feminine scent but this one screams luxury. It is a little deeper than Lovely but is still very fresh. When I spray this, I smell roses but my husband smells lychees and peaches so I guess you could describe it as a fruity, floral scent but not overly sweet. I find the staying power of this perfume to be pretty good - around the 6 hour mark before I need to re-apply. I adore the square bottle wit the bow under the lid - it's definitely one of the most striking in my perfume collection. Jo Malone Wood Sage & Sea Salt is a favourite for me, regardless of the season! It is a crisp, fresh fragrance that is also woody at the same time (hence the name!). It instantly transports me to the beach, but not in the way Estée Lauder Bronze Goddess does because it isn't warm - it reminds me of a breezy day at the beach - fresh, slightly salty but with the woodiness to calm the sharpness. This is probably my favourite Jo Malone fragrance and I love to pair it with Lime, Basil & Mandarin so add some zestiness. I know that some people complain about the wear time of Jo Malone fragrances but this is not something that I have found a problem with - I usually get around 6-7 hours wear time so I wouldn't complain about that. Jo Malone English Pear & Freesia is a lightly sweet, fruity/floral fragrance and is perfect for layering with Wood Sage & Sea Salt if you like a softer scent but works perfectly well on its own. It is a very feminine, fresh, uplifting, sparkling scent - perfect for Spring days. I feel that it is the perfect balance between fruity and floral without being overly sweet or over-powering. 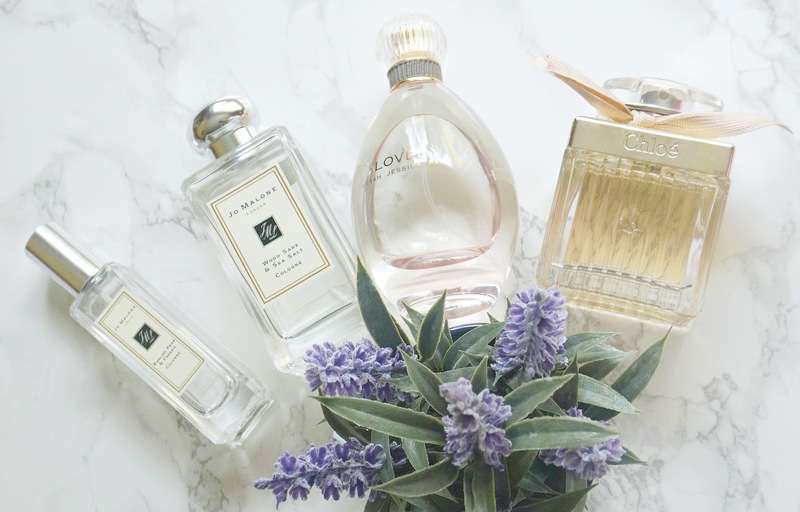 What are your favourite scents for Spring? Do you switch your fragrances depending on the season or do you stay loyal to one fragrance all year round? I would love to hear in the comments below!